In honor of Shark Week, Beantown Brews is proud to present you with an array of beer tastings from the coastal towns of New England! First up? There are a great many choices that I could go with, but I believe I would be remiss if I didn’t pick the beer from the movie that is arguably a huge inspiration to the mania that is Shark Week. That movie is JAWS. Narragansett – Quints beverage of choice aboard the Orca. Cooler goes in the boat, you go in the cooler. Narragansetts in the cooler. Can you get me one? Narragansett has made a remarkable comeback as a brand over the last few years thanks to a combination of new ownership and a huge marketing push. Luckily, even after the marketing hype, Narragansett can stand on its own two sea legs and be proud. It makes a flavorful, local alternative to the standard lager fair available. 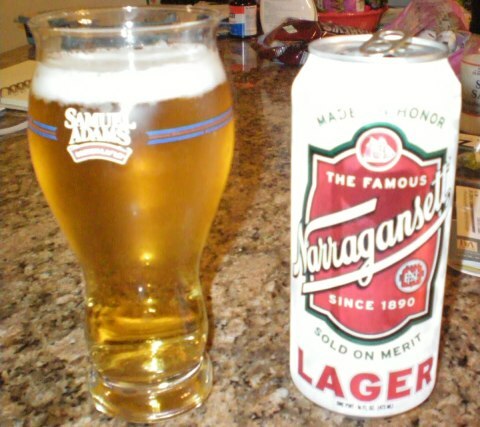 I’d reviewed Gansett’s Lager in a previous post that found its way on to the Narragansett web site. 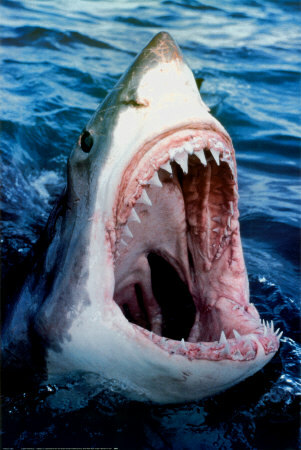 Here is a slightly updated repost of my original review – in honor of Shark Week. I was interested to check out Narragansett. I’ve been trying to focus on regional New England beers and Narragansett is certainly a local institution. To be honest, I’d so seldom had their beer before that I couldn’t remember if I liked it. American adjunct lagers (the class of beer that Narragansett lager falls in to) tend to get a bum rap with craft-beer enthusiasts. Just take a look at Beer Advocates average rating in the style. Looks like your typical term grades from the frat house – all C’s and D’s. I tend to be a Pabst man myself – when I do drink canned macro-lager, that is what you will find in my hand. This doesn’t sit well with my mission to drink local, but I’ve been hard pressed to find an alternative. And there are really some circumstances and food choices that pair well with this, al-be-it often ostracized group. If you are heading to a BBQ (clam bake, fishing trip, nascar event, tailgating party, summer event), and you think that it might not be appropriate to bring your kolsch(hefe, porter, rauchbier…), it is always good to have a stand-by waiting in the wings. American lagers are ubiquitous; They are the jeans of the beer world – sometimes it pays not to be overdressed. 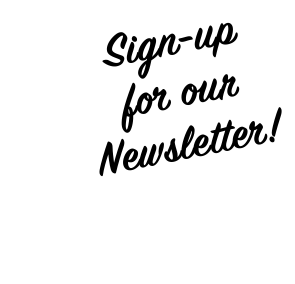 Back to the important stuff – how was the Gansett? Let’s take a look. Appearance: Clean and clear pale golden color. An impressive two fingers of foam that fades in to some nice lacing. Well carbonated – but not nearly as carbonated as other macro-lagers. Smell: Cereal grains with just a touch of hop spice. This is notable in that nearly no other macro-lager has any detectable level of hop aroma what-so-ever. Taste: I was surprised by the amount of flavor in this beer. There is a graininess to the taste, but a nice bit of malt comes through. Just a bit of hop bitterness in the finish. Mouthfeel – Lighter to medium body. A bit grainy. Finishes dry. Drinkability: Very. 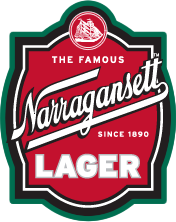 Narragansett combines the uber-drinkability of a macro-lager with, dare I say, taste! How novel of them. I was really impressed with my Gansett experience. Overall, the beer packed a lot more flavor and a lot less graininess than I expected. I was so impressed with the big white head on my pour that I had my roommate pour a Bud next to it for comparison. The head on the Gansett was a lot fuller, even if it didn’t last too long. Quint spent plenty of time on a boat. When you spend that much time on the water, you don’t want to drink a beer that tastes like it. So if you are looking for a beer to bring along on that shark diving expedition, well, you may not want to drink. But afterward, if you are looking for a beer to help nurse those gaping flesh-wounds you used to call arms, have your buddy crack open a cold Gansett for you and just… just sort of pour in to your face cavity. Hi Neighbor! Spare a 'Gansett!